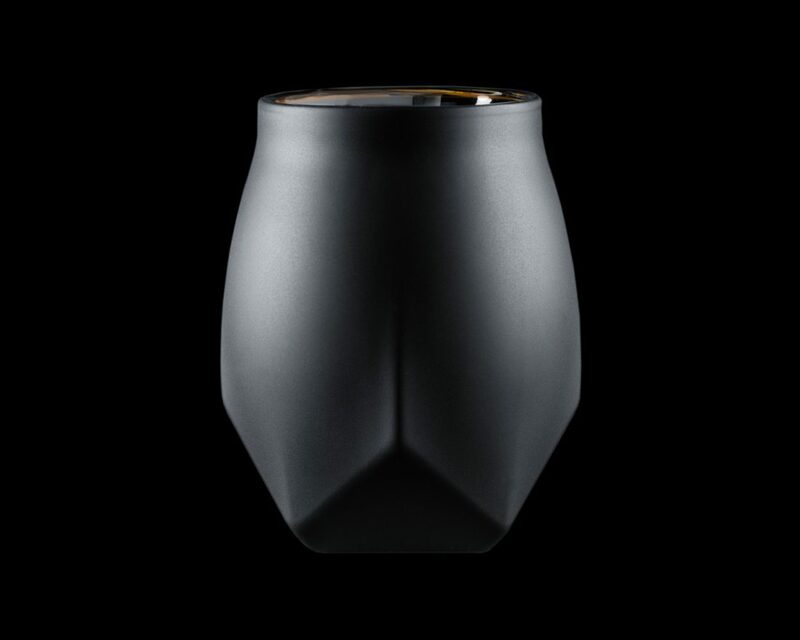 A brand focused on modernising the whisky drinking experience through design, Norlan’s first whisky glass was launched in December 2015, after exceeding their initial funding goal on Kickstarter by 1,000%. The original, transparent double walled glass was formed from two separate two-part molds: one for the inner wall, and one for the outer wall. When the inner and outer glass walls are prepared, the rims are reheated and the inner glass is inserted, at which time the rims are sealed, creating a hollow body glass with an inside shape that is quite different to the outside shape. The advantages of this double walled construction, Norlan say, is the aeration and aroma it provides to the whisky drinking experience. When swirled around the glass, the whisky forms a standing wave shape, which increases the surface to air ratio and rate of oxidisation, causing more ethanol to evaporate and resulting in a significantly more expressive whisky. The shape of the inner wall of the glass begin to close from bottom to top, then flare out again so as not to hit the nose. The shape forces the aroma of the whisky towards the nose while diffusing the ethanol away from the face, improving the taste of the whisky. While many whisky drinkers will enjoy a drink from a wide, open-brimmed tumbler, some prefer a glass with a narrower aperture at the brim provided by a tasting or nosing glass, also known as a Copita, which concentrates the aromas and allows for inspection of the spirit’s color without marking the glass’ bowl with fingerprints. A downside to the shape of this glass can be that they often concentrate the shape of the vapor in such a way that they tightly focus it, causing the ethanol to punch into the eyes and nose, as well as forcing the drinker to tilt their head up and back, cutting them off from their surroundings. The tumbler, on the other hand, is a more social glass, allowing the drinker to sip the whisky while maintaining eye contact. However, the wide opening of the glass diffuses the aroma of the spirit too widely, fading and flattening out the smell away from the nose. Norlan took the preferences of both of these designs into consideration during the design process, and through an extensive testing process, used this information to create an entirely new class which incorporates she shape of both the traditional tumbler and more specialist tasting glass. Their new VAILD Black Edition glass takes the whisky tasting experience to the next level. 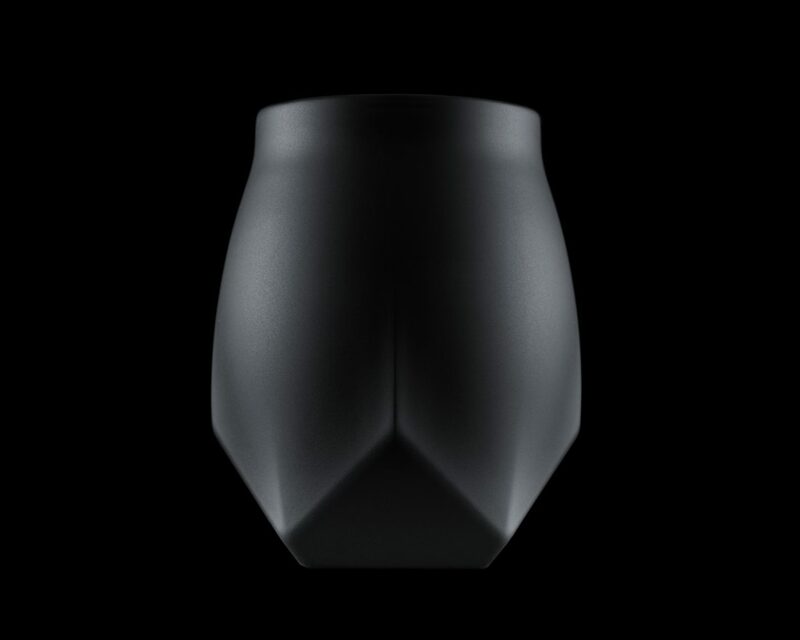 Developed to create a unique blind nosing experience, the opaque black outer wall conceals the whisky within. 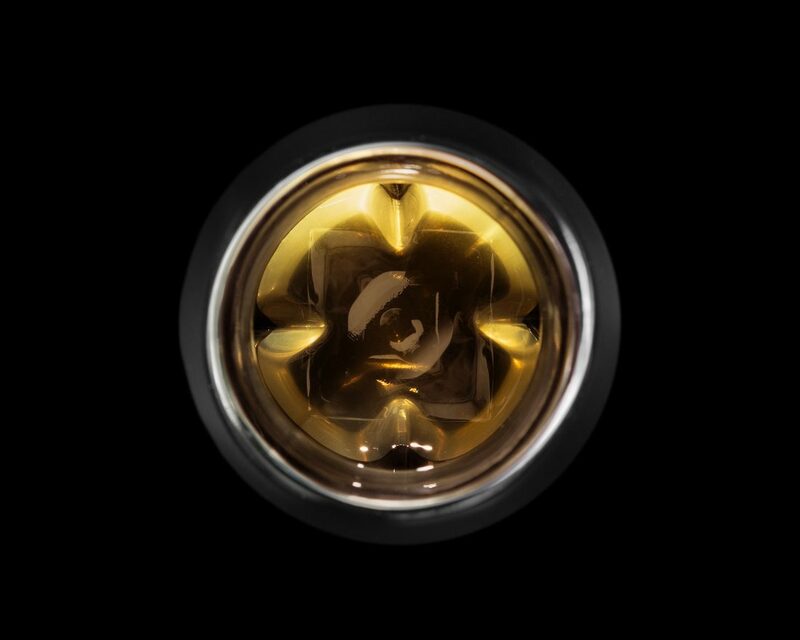 The black outer wall traps any light within the glass, taking the appearance of the whisky with it, causing the drinker to rely solely on the aroma and flavour of the spirit during the tasting of the whisky.